Holiday.gr - Saronic islands, a trip to a myth! Within easy reach of the capital, the Saronic Islands are popular not only with Athenians, but with people from all over the world. 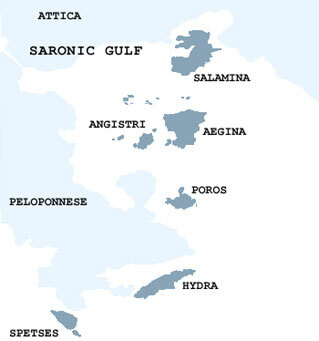 Despite their proximity to Athens and to one another, each island retains its own individual features. Aegina, rich in archaeological finds and monuments, ideal for a delightful daytrip from Piraeus. Spetses, outstanding scenery, distinctive architecture, cosmopolitan atmosphere. Hydra, a place for inspiration for artists where cars are not allowed to spoil the magic; donkeys are used for getting around. Poros, island of the lemon forest, closer to Peloponese, welcomes the visitors with an amazing view of the port. Been to SARONIC ISLANDS ? Share your experiences!